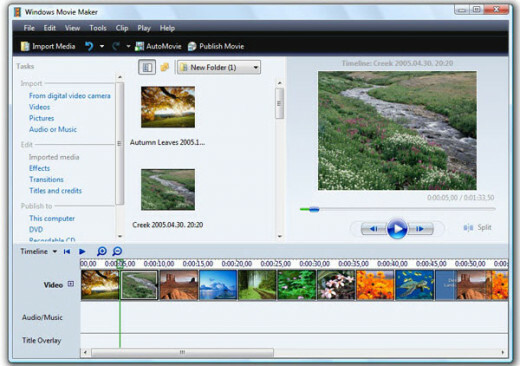 Windows Movie Maker has been around for quite a while, and has been a part of the Windows system for many years. Whether you are looking to import photos and videos into a collage, or you want to customize the video to your very needs, this is a great choice. Move images and movies around and have them play at the speed of your choice, add any music or sound you like to create an awesome soundtrack for your movie, and then share it online. It has been noted for a while that Movie Maker has been one of the most popular desktop movie editing tools for many years, and the newest iteration is every bit as useful. 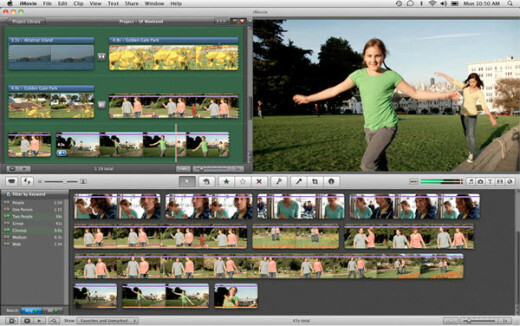 iMovie is, as you would expect, the Apple equivalent of Windows Movie Maker. While Windows has always concentrated on compatibility and functionality, Apple have aimed their products towards creative types for many years. This video editing software gives you the chance to turn just about any movie into a major production. 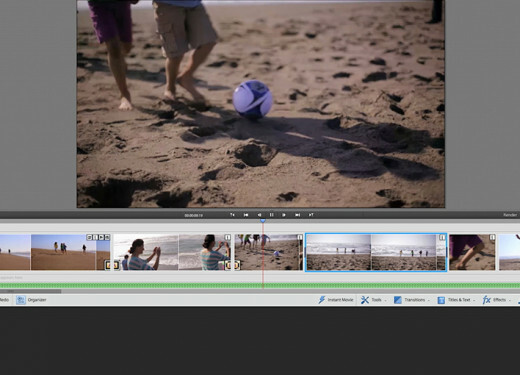 With a simple to use UI, you can make full movies from your collages quicker than ever. Using drag and drop features, you can just drop titles, effects and sounds on to the part of the video you wish to edit in seconds. This is a truly professional piece of editing software, and is rated as the best tool for any Mac users. Compatible with just about computer, this is one of the most feature heavy tools you are likely to find in the video editing niche. This pro home video tool started out as just a simple editor, but has progressed into one of the most effective and versatile that you will be able to find. With a ridiculous list of compatible file types, you can create your movies from any format you have on your computer. Personalize your videos with any effects, texts and music that you have access and then use the Smart Scene Detection software to split your video into intelligent segments. If you are looking for a third-party equivalent to the two above, hen this should be your choice. Adobe is recognized as being one of the kings of the digital editing world. The creators of the popular Photoshop tool have produced a video editing kit to rival anything else on the market. With wide access solutions on your mobile devices, this has a wide array of different features and effects that you simply will not get elsewhere. If you are looking for the truly professional approach to your video editing, then this is the choice for you. It’s a bit more expensive than other options, and harder to master, but when you do it leaves you with a truly powerful piece of software that can manipulate your thoughts and ideas to just about any scenario you wish, it really is that powerful. 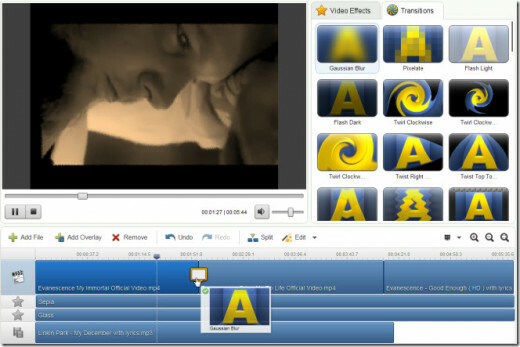 VideoPad is one of the easiest to use tools out there. 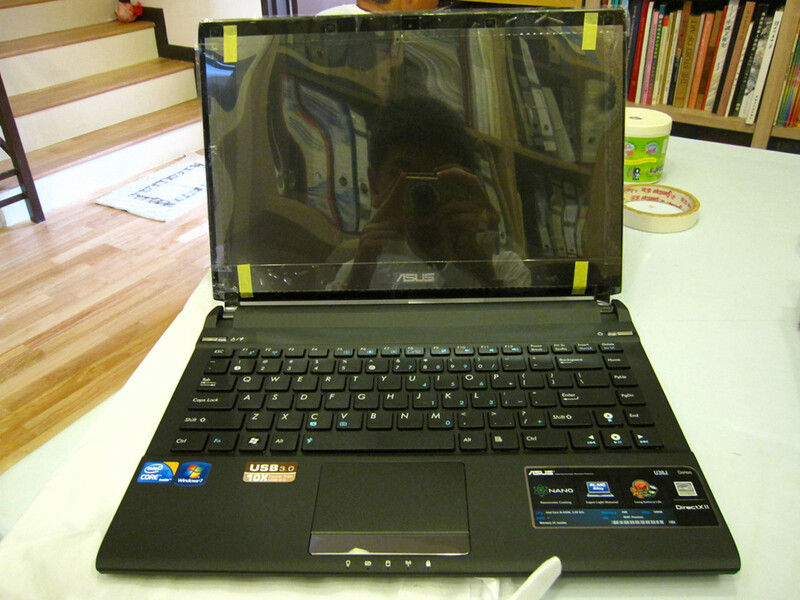 With support for Kindle, Android, Mac and Windows devices this is noted for its versatility and the ease of use. It may not be quite as powerful as those above, but the learning curve is so much simpler. You can edit your video directly from your camera, and with over fifty unique effects and transitions that can be used for your movie, you have the option of going that little bit extra in your editing attempts. Burn movies for TV playback or upload it to YouTube – the choice is yours. With VideoPad, you have the option which is the most important thing. This versatile little kit will give you a lot of great features, and would do a job for the vast majority of editing needs. That’s right – YouTube does not just provide you with video uploading software for free, you can even edit your videos to your satisfaction. 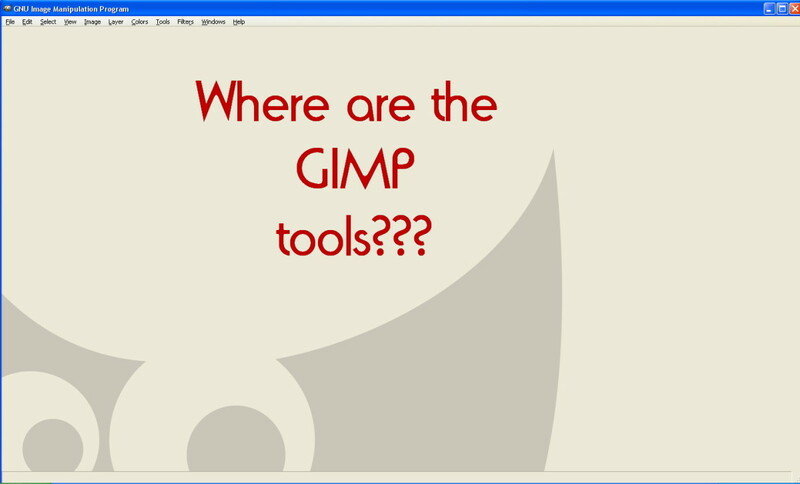 These tools are all fairly rudimentary, but if you are looking to do some clipping, change the music, or add some creative commons licensed videos in there to spruce things up, this is the one for you. There are lots of brilliant PLR tunes that you can turn to, as well, if you are looking for outstanding backing music. Simple and effective, the YouTube video editor is well worth using if you are looking to make small adjustments – just don’t expect to turn a drunken movie shot into a masterpiece! WeVideo is one of the most recognized online video editors, and offers both desktop and mobile support. WeVideo is built for the business minds out there who are looking to engage groups of people and grow their client base. As well as this, it makes a brilliant way to create attention grabbing videos to engage your fellow students. With a cloud available so that you can get all of your movies on the fly, the Editor mode allows you to fully change the interface to whatever suits you. Add in the brilliant preset themes that are available and you can turn any plain video into a professional looking, well converting, piece of sales copy. If you are looking for a quality and free online video editor, then this is the one for you. Capable of processing files of up to 600 MB, which is going to be bigger than the majority of files you will be looking to edit, the software optimizes your video file and offers many great features like cutting, cropping, merging, export and import and even adding watermarks. This is perfect for quickly changing a normal video into a sleek sales movie that you can use to advertise your products or services. You can even include subtitles if you think that they are required, and with a record feature you can make the video and edit it all within the same place. Available on Mobile, Web and TV, Pixorial has been recognised as one of the strongest tools in its niche. You can edit any length of video and convert it in the same or higher quality than before, and using a wide array of filters you can edit your video or image entirely with just a few clicks. With a publishing feature, you can also get yourself out there and bring in new clients quickly. At the same time, it also allows you to create pretty easy client testimonials for adding an extra level of professionalism and authority to your videos. This is a great business tool, and the learning curve is so simple you will be an editing master in no time! 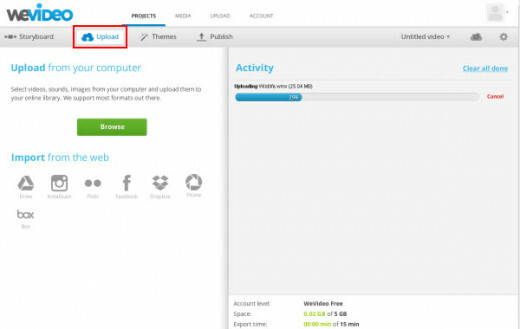 FileLab offers many cool features inside a brilliantly easy interface. 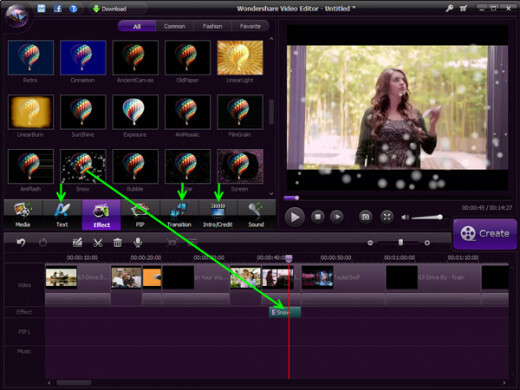 You can edit your video in any way you wish – cutting, splitting, merging and mixing videos to your own satisfaction. With over two dozen unique video effects like a Sketch filter, you can really take things to a new level with no extra work here with FileLab. With support for so many different formats, and over 50 transitions between scenes available you can get as serious or funny as you want with this excellent tool. 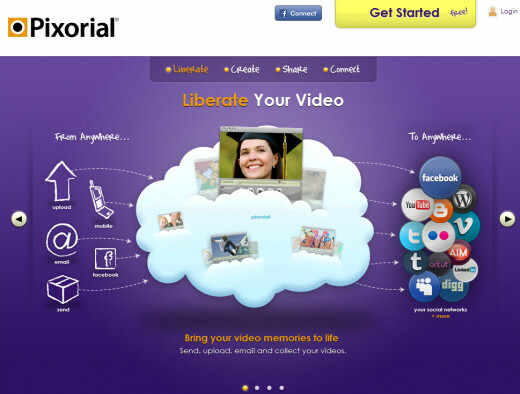 It is these many features that have made FileLab one of the most used online video editing tools out there on the web. Magisto allows pretty much professional and automated editing of your videos. 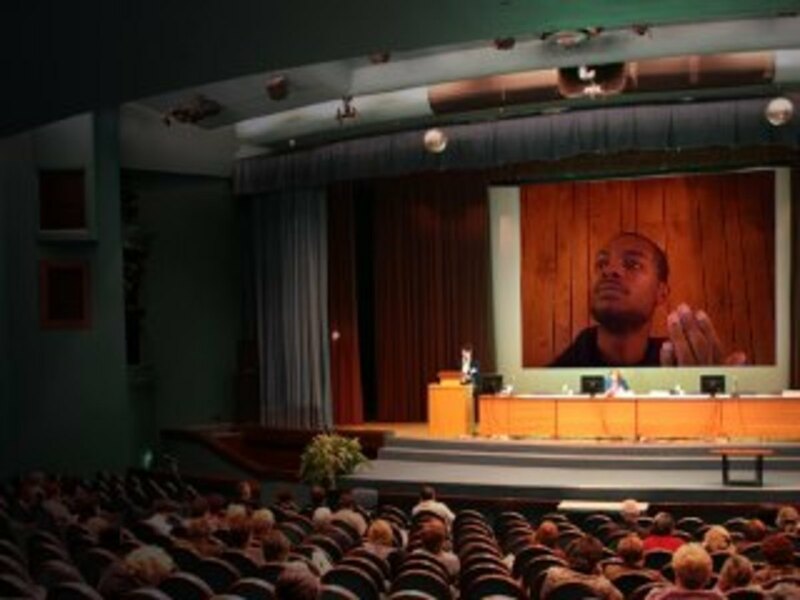 Take your normal, everyday video and turn it into a professional collage that will look like it cost hundreds of dollars to create. The way it works is simple – choose a video, select an overall theme and design for the video, and add some music! This automates the whole process, allowing you to just pick the best parts that you need and let the software do the rest. 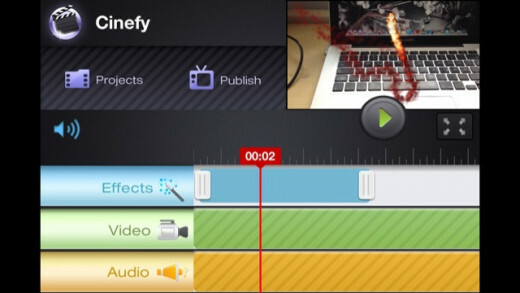 One of the best video editing apps available at the moment. 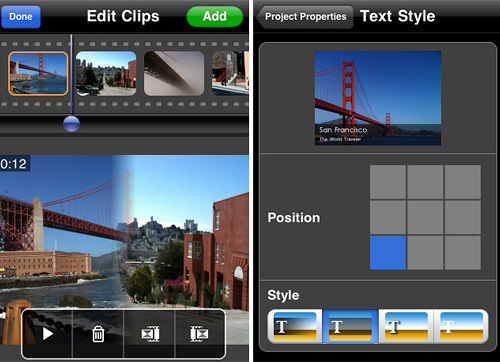 Recognized in 2009 as the best app on the Apple network, this set the trend and the standard for video editing on the go. You can upload to YouTube, import music from your iTunes, and add text to your videos with just a few clicks with a huge amount of different fonts available. With so many great features available on this app, it’s got the bonus of having all of the innovations in the niche – and it arguably still holds the torch as the best on-the-go movie editing tool. If you need to have every feature you can think of, this is the best place to start. Within seconds, you can use Vidify to complete edit your normal videos that are shot into fully professional videos. Selecting from a soundtrack list provided or from your own music, you can transform clips of a good night into a music video! If you are somebody who takes a lot of videos of friends and family, this is the easiest way on the web to make professional collages in minutes. Change the features, the filters, the length and the sound entirely to fit your own imagination. Cinefy can help you easily create movie magic like never before. It features easy and intuitive interface which enables you easily drop in your clips, add music, and apply incredible special effects and animations. It also provides downloadable effects packs include titles, overlay effects and sounds as real as many of Hollywood’s biggest productions. Now just impress your friends by casting them in your version of the most popular TV shows, movies & video games. This app has been long recognized as one of the most innovative in the niche. 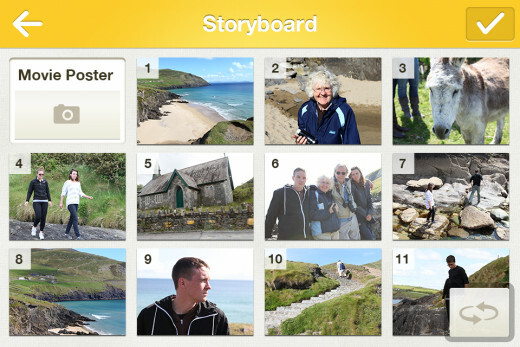 It offers a social video feature that turns all of your life’s recorded moments into a real storyline! Sharing and editing your videos is very easy when using Montaj. It offers speed and automation over full customization, but this streamlined process tends to be what you were looking for anyway. Capturing videos and editing them from the one app is very useful, too, and the merge feature is one of the fastest of the available video editing apps out there. Definitely work a look if you want to do some fast, simple editing. Which is the best photo editing software for you? Find out here. Take a few seconds and easily compare several top rated programs. See how each stacks up using a side-by-side feature comparison chart. Which Video Editor Will You Give 5 Star? Very good article Liza.I am a user of Windows Movie Maker. A problem I was having with the sound effects of a project brought me here, at least to the topic of video editing! Thanks for your comments. Anytime when you need some suggestion about video editing, don't hesitate to communicate with me! 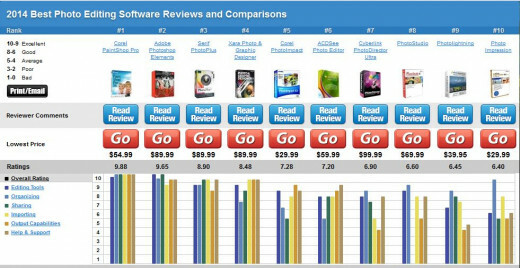 Great review of the top video editing software Liza. I appreciate the information. I've always been interested in doing some video footage for my blog...but haven't really known how to do it. Maybe now I'll give it a try! Interesting hub. I enjoyed reading it Liza.